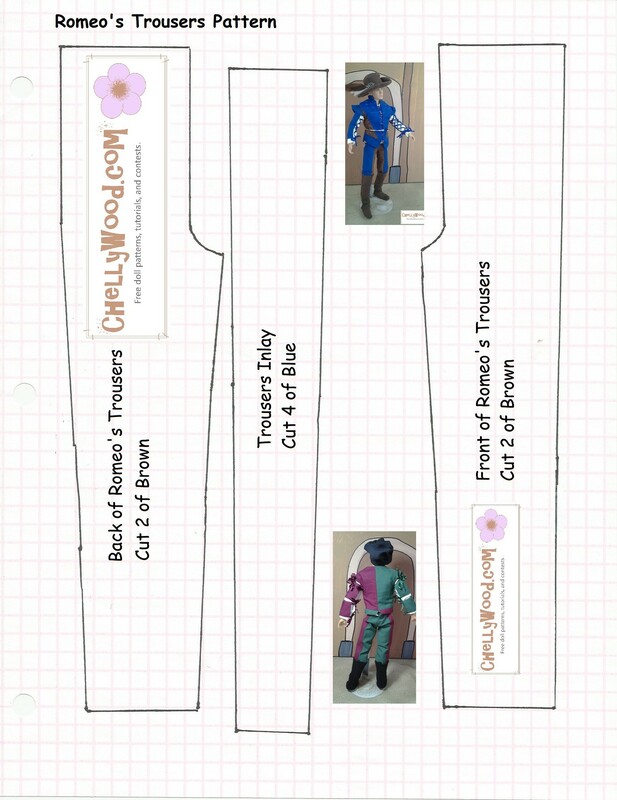 Go to ChellyWood.com to download the printable sewing pattern and to watch free video tutorials on how to make this outfit for your Twilight dolls. No, I didn’t get the actor, Jackson Rathbone, to voice Father Capulet in my upcoming Romeo and Juliet video. 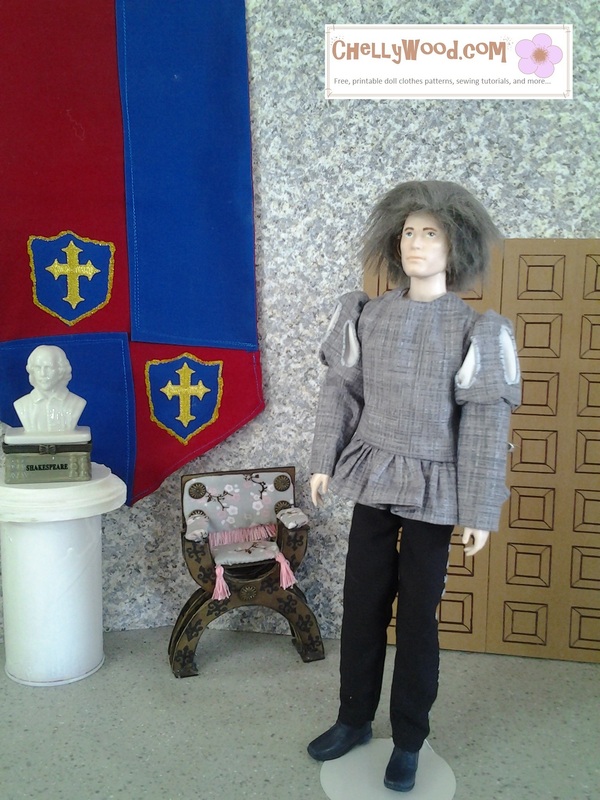 Rather, I chose his facsimile to remake OOAK-style into a Father Capulet doll for our Theater of Yore production. Want to see him in full costume, after the remake? Here’s a link to a picture of the doll after the make-under, including his face re-paint and wig (to make him look older). To make the Renaissance Faire costume, first we’ll concentrate on making his tunic. 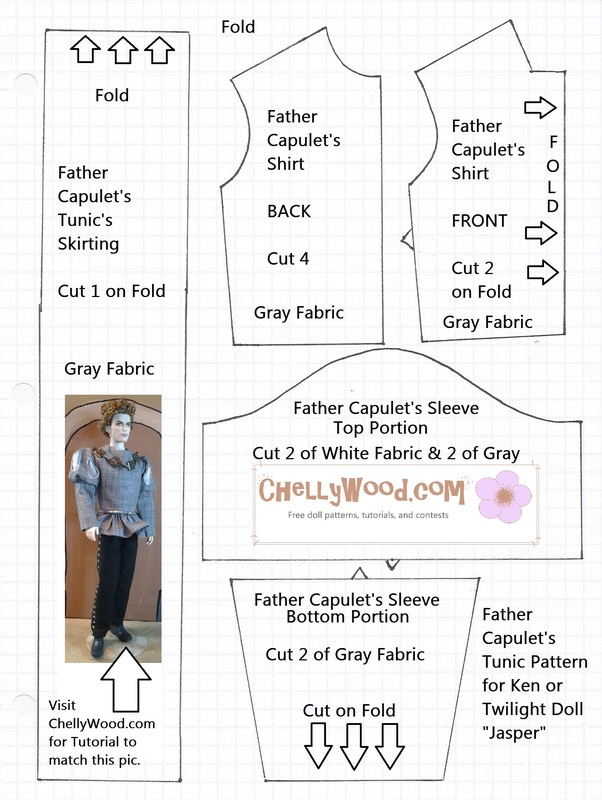 Here’s the pattern for the grey tunic, and this is the tunic’s how-to video. The pants are pretty simple. Just download this pattern, follow this video tutorial’s instructions, and before sewing the inseam, embroider little X’s up the pant leg. That’s not too hard. 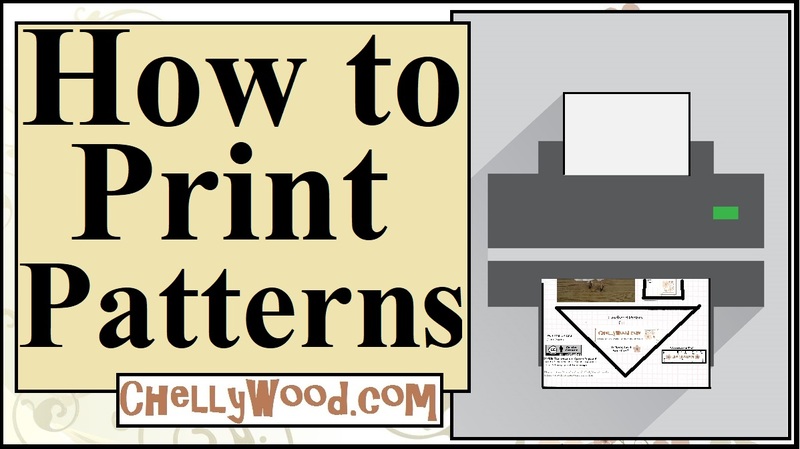 But please note, you won’t need the inlay section from the pattern.